In our practice we allocate time every day for emergencies. Our receptionist will try to accommodate you however it may not be your usual dentist. Please try to phone us as early as possible. In case of emergency out of hours, we operate a “help line” for our registered patients. Telephoning the practice will lead to an answering machine which will advise you how to access the emergency service for treatment. We pride ourselves in being among the best equipped practices, using the most advanced treatment. We all regularly attend meetings and courses to keep abreast with modern techniques and philosophies. All sterilization procedures are carried out in line with current British Dental Association and NHS guidelines. Disposable items are used whenever possible. Your safety is always of the utmost priority to us. We have disabled access for wheelchairs and if you feel at all concern, please phone prior to your visit. Some people and all children are entitled to free treatment or at least some help with the cost. Please do not hesitate to ask for advice on this matter. We will always give you a detailed written estimate of the cost of your treatment after your examination or at any other time on request. Please speak to our reception staff for further information. Please ask our reception staff for details. There are ample parking facilities to the front and rear of the practice. The team at Kingsport Dental Clinic recommends that patients have there teeth professionally cleaned at least every six months. Professional cleaning includes a thorough scaling to remove tartar build up and a deep cleaning of the gums where required. 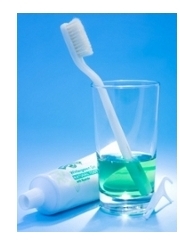 It is important for patients to follow a good oral hygiene regime. To prevent tartar build up which can then lead to gum disease. This is done by carefully and frequently brushing with a toothbrush and using dental floss to prevent the accumulation of plaque on teeth.